I did this yesyerday! Thank you! Legs are feeling fatigued today. Now off for a run! Great workout. I would have liked it better if I had my heavier bell with me, but I'm out of town and only brought one. I ended it with the 8 minutes of Tabitha. 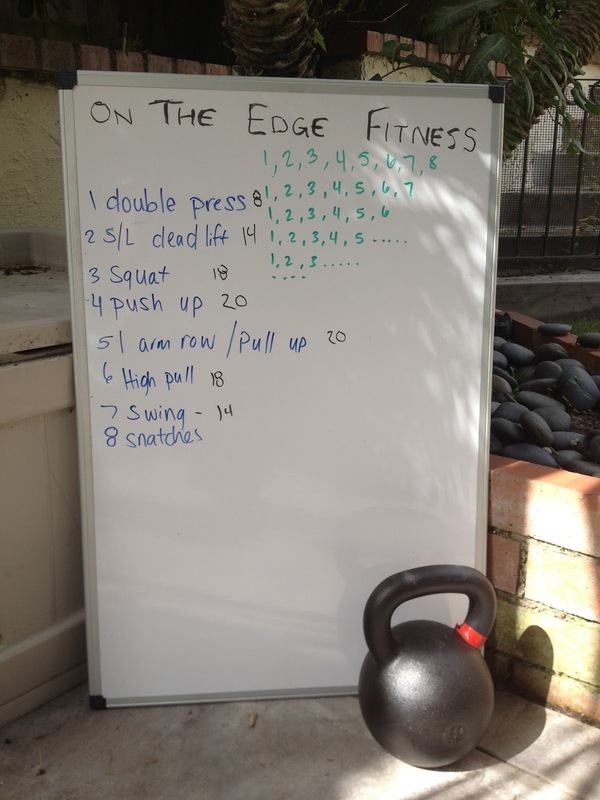 I did single arm swings, followed by 2 handed, then overhead swings, which finished it nicely. Thanks!